low overhead, and personal attention.  Austen Consultants helps companies get the right Managed IT Services contract the first time. Many companies talk a big talk, but we actually deliver on our promises. Many companies over promise and guarantee results that are not cost effective or oversell you on technology you don’t need. Our mission for Managed IT Services is to show you how to save on IT Services, while still getting results that are relevant. We don’t have huge buildings to pay for, we keep expenses low and our prices show it. We practice Managed IT Services in the DFW (Dallas / Fort Worth Metroplex) and up the 287 corridor and the Wichita Falls area. Give us a call or contact us today. We are experts in Managed IT Services. Infrastructure Systems, Virtualization, Compute, Storage and Networking. We’ll keep your IT Infrastructure up so you can sleep at night. We can manage your Microsoft Exchange system or get you up and running on Office 365. Email Migrations are one of our specialties. We have migrated over 10,000 mailboxes to Office 365. Let us know what you’d like monitored. Whether it’s your entire Infrastructure or just a few troublesome nodes, our Managed IT Services team can work with you on any scale. Contact us or call for a quote today. Fast, Dependable Managed IT Services you can rely on. We can help your business increase productivity. Existing IT Staff? We want to help your staff accomplish your company’s goals. We leverage and optimize existing infrastructure and when appropriate, help companies build out with the latest technology. The end result being a more productive workforce and extremely stable IT infrastructure.